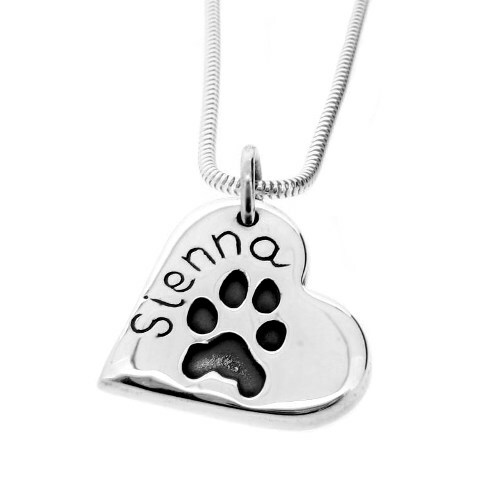 We will take a paw-print image from your pet and turn it into a beautiful silver pendant necklace or keyring with your pet’s name engraved on the front. 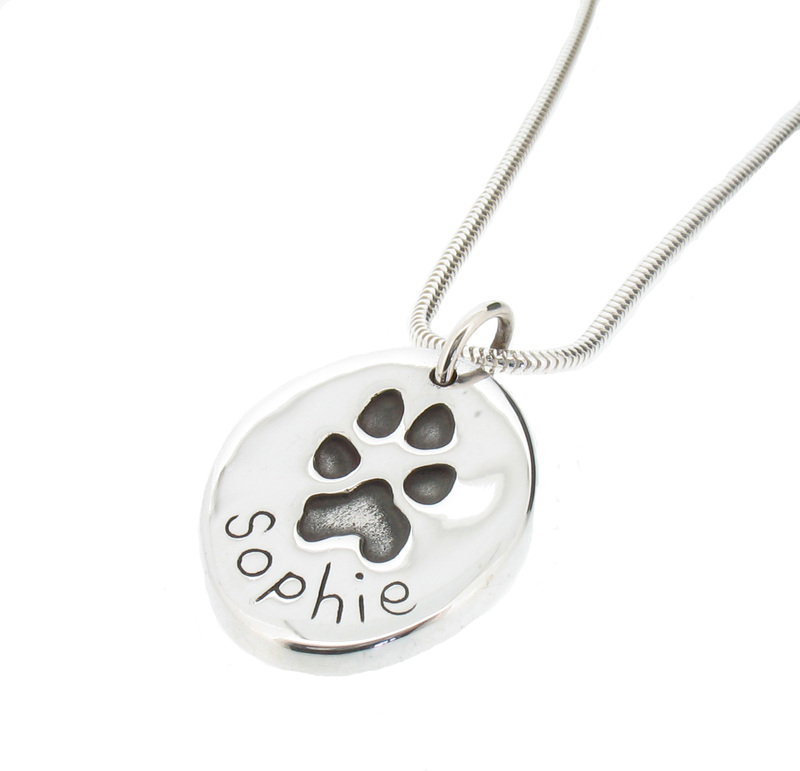 The prints can be on a heart, oval or circle. The necklace comes complete with an 18″ silver box chain as standard or add £20 to the quoted price on each item for a silver ‘snake’ chain. 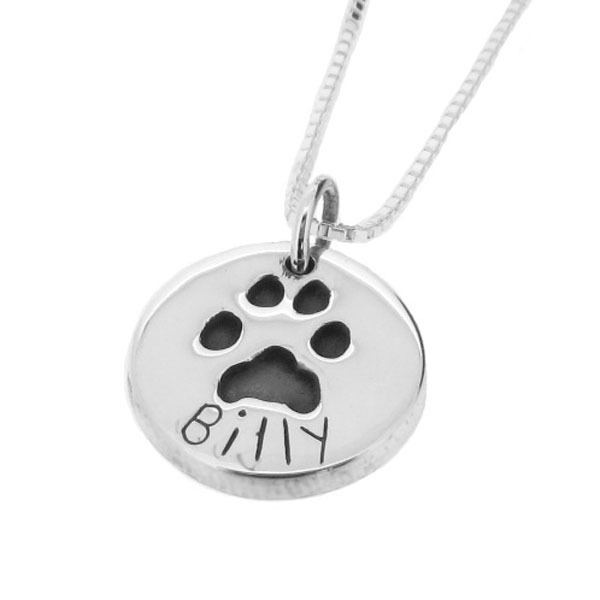 A message of up to 13 characters can be engraved on the back for an extra £10.